Griha Pravesh by one of the top ranked realty developers Grihapravesh Buildteck Pvt. Ltd. is a world-class residential project at a prime location in Sector 77, Noida. Healthier living space is what the developer promises to offer at this green project. To ensure the same the project has been registered under Indian Green Building Council’s (IGBC), first rating program started in India. This lavish project is an opportunity for home seekers to make their dreams come true by investing in property where they can live a peaceful life accompanied by luxurious lifestyle. High quality of Griha Pravesh, Noida can be inferred from the fact that it has got approval from IIT Mumbai. With increasing frauds and fake project, now it has become very important for investors and end-users to look for the authenticity of the facts mentioned by the developers. At this project all the facts are true and valid and these can be verified from the registrations the developer has got done for the project. Green home concept is not only a good option for residents, but it is equally beneficial for our environment too. To ensure safety and benefit of both dwellers and environ, the developer has taken various measures such as solar water heating system, water recycling, rain-water harvesting and water softening plant. So, it can easily be said that this gold rated project is a safe, secure and environment-friendly residential destination in Noida. Strategic location is one more highlight of this project. As a resident of Griha Pravesh, one will get easy access to important points such as FNG Expressway, Atta Market in Sector 18, schools, hospitals, malls, offices, metro station and Sai Dham Temple etc. All of these are just at a few kilometres distance such as Atta market is just at a five minutes’ driving distance while metro station, Sector 50 and Sai Temple are just 2.5 kilometres, 1.5kilometres and 3 kilometres away respectively. Golf Course, Fortis Hospital, Shipra Mall and Inter State Bus Terminus (ISBT) are also easily accessible from here. At Griha Pravesh, you can choose from luxury and opulent 2BHK, 3BHK and 4BHK flats which cover an area of 1175 square feet to 2569 square feet respectively. These elegant homes have been designed in different towers including Anand Tower, Saket Tower, Vikram Tower, Kapil Tower, Gautam Tower, Arvind Tower and the Bhabha Tower. So, based on your budget, area requirements and other specifications, you can opt for a suitable home at Griha Pravesh, Sector 77, Noida. Urban amenities have been offered to make your life comfortable in true sense. Some of these include pool table, jogging tracks, yoga and meditation area, landscapes, complete power backup, party lawn and skating rink. Double height parking with hydraulic stack system has been proposed, which is most probable first time in India. This is a continuation of the gold-making guide for Auction House. It does not matter if you did not read the last article. Starting with this one is fine as well. Last time we have mentioned two items to be noted when making gold by Action House. Today I would like to share the rest of the steps with you. Hope you like it. Never fool your customers. Don’t even think about it. As has been mentioned in my last article, you could earn enough money in the AH just by following the market. We like to buy one thing for what it is worth, so if you items remain for a long time, you might want to re-think about the pricing. Here is a little secret to promote your sales, which is to “underbid” present auctions. 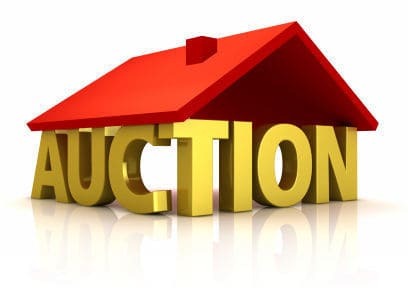 Make the price low but acceptable for yourself, which will make your auction rank the top of AH searches. Actually, this is just like an ad technique. You would appreciate the advantages if you have tried. Pay attention to the seasonal elements. As you know, some items can only be used or popular in certain season, such as Delicious Chocolate Cake or Small Egg during Children’s Week. Be patient. To earn a large amount of money by an item, you may have to post it for several days on end, or post it again and again. If you find it too hard to make gold in the game, you could just buy wow gold for sale on the internet. Don’t put all your eggs in one basket which is too risky. Just spend your working capital on buying forty items for the auction each with the potential for profit, instead of investing them in that one purple leatherworking recipe in hopes of getting several hundred gold hence. If you can not sell out that puppy or can not sell it at the price you set, you would lose all your working money. And you would be deprived of a lot of flexibility. Leave speculating on purple items until you have enough gold. MCITP Business Intelligence Developer would help you increase new capabilities in the expert world because MS is considered to be the most innovative and creative company. Therefore, a fast increase in your job efficiency is a guaranteed assurance after you complete MS MCITP Business Intelligence Developer examinations. If you are a beginner MS expert and want to add an aggressive advantage to your CV, then MCITP Business Intelligence Developer would give you a perfect head start also. You will get greatest possible prospects as compared to your colleagues because of your educational qualifications such as MS MCITP: Business Intelligence Developer and hence would be recommended by the business employers. Microsoft Certified IT Professional: Business Intelligence Developer (MCITP: Business Intelligence Developer) is the premier certification for business intelligence system designers and developers. This certification demonstrates that you can design analysis solutions, data transformations, and reports. Business intelligence developers design and implement multi-dimensional database models (logical and physical), data marts, data warehousing, data transforms, data analytics, and reporting solutions. The Microsofts MCITP Business Intelligence Developer certification is the best certification for business intelligence system designers. This MCITP certification allows the individual to get more and more knowledge about multi-dimensional data source models, details marts, details warehousing, details changes, details research, and verifying alternatives. This contains coding and personalizing servers that use Multidimensional Movement (MDX), customer changes, and customized confirming alternatives. Company intelligence designers are typically employed by mid-sized to large-sized companies. MCITP: Business Intelligence Developer applicants must first finish the specifications for the MCTS: SQL Server 2005 Business Intelligence qualification which needs only one examination, Exam 70-445. Then qualifying the examination “PRO: Developing a Business Intelligence Remedy by Using Ms SQL Server 2005”, Exam 70-446 is enough to get the MCITP: Business Intelligence Developer qualification. MCITP: Business Intelligence Developer qualification certified experts have more innovative skills to provide higher levels of service and efficiency. It provides the aggressive benefits to the Company. MCITP: Business Intelligence Developer qualification is beneficial for experts who have initial-level qualifications in relevant technological innovation to update their experience and get acknowledgement from the market. Most of the companies want to seek the services of an MS qualified Expert because he will be officially efficient professional who has hands-on experience and in-depth knowledge. Logic follows that the second largest city in the United States has just as many residences for its varied and large population. Los Angeles real estate is a huge industry, for a huge metropolis. There are more than 17 million people in the combined statistical area of this part of the USA. As of 2011, there were approximately 3.5 million housing units in Los Angeles County with, on average, three people per household. In those homes, 36% have children under the age of 18, 47% were married couples living together and 14% had a female householder with no husband. For a county made up of 88 different cities, that is a lot of people, and a lot of housing. The housing market has been fluctuating wildly across the US, but might see some stability in spring. The median sales price for previously owned homes has risen for the 11th month in a row. The National Association of Realtors has provided information in a recent press release that shows that homes sales rose in every region but the west for the month of January. In the west, sellers market may be developing. Los Angeles real estate might not be great for the buyer; however, when a hot property suddenly goes on sale, it might be a good option to keep ones eyes open. Nearly, 42% of the housing units in Los Angeles County real estate are multiple unit structures like apartment buildings. The median value for a home is $400,000 and the homeownership rate is 47.9%. Over half of the people living in Los Angeles County are renting, which is an excellent thing for the owners because that will help to reduce their mortgages. Whether you are looking to buy a home as an asset, to rent out while you live somewhere else, or if you are looking to settle down, Los Angeles real estate will have options for you throughout the entire county. Among the major cities of the world, Los Angeles (LA) is one of the craziest, busiest, biggest and all-around strangest in the world. Tokyo may be bigger, New York may be faster, but LA is the hub for the entertainment industry. Los Angeles real estate reflects the star-studded appeal given by many homes that are beautiful, large and state-of-the-art. Because when you make more than a million dollars a year, it is nice to have a place that reflects that income and is also good for putting your feet up. Coming back to the logic, if there are a many homes in Los Angeles and the surrounding area, then there will be a lot of real estate agents and companies. Los Angeles real estate is best handled by the professionals; the ones who know every back alley in the city and are able to find the best place for any ones unique needs. Working from home is becoming an increasingly popular alternative to cubicle life. Every day, more people learn how to work from home and leave the traditional corporate world. By developing a worthwhile business idea or using an established program and devoting the required effort and time, people find success working from home. Many companies hire individuals to work from home as employees or independent contractors. Finding a legitimate and lucrative opportunity requires some research. A good home-based business requires little to no financial investment. It is also simple to operate with basic training, easy to maintain once started, more fun than a traditional job, and is profitable over the long-term. People enjoy doing the work and realize increasing income over time. Working from home requires a designated workspace with the house. A computer with an Internet connection, printer, telephone, and office furniture including a desk, chair, and file storage are required. Some home business owners also need a photocopier and fax machine. Those who find themselves on the road a lot should consider purchasing a tablet computer or smartphone. They can maintain customer service and allow the business to move along while they are traveling. We often take office ergonomics for granted in the corporate world. A home office should be just as comfortable and ergonomically friendly. The office desk and chair should be the proper height and the computer keyboard should be placed in a comfortable location. If the printer and telephone will be used frequently, they should be within easy reach. A paper filing system organized in a logical manner makes document retrieval convenient. Pens, pencils, paper clips, sticky notes, and a stapler should be organized on the desktop. Success usually comes easier with some assistance in the form of specific business tools or a mentor. Business software is available for bookkeeping, prospect development, and many other purposes. Experienced professionals who are willing to offer advice and ongoing guidance help newcomers learn how to build a profitable business without experiencing common pitfalls. There is nothing stopping anyone from learning how to work from home. With unemployment levels reaching record highs, now is the great time to start a home-based business. What begins as a secondary source of income can quickly develop into a career if the right approach is used. Resolve to escape the corporate life and begin working for yourself to realize higher income and a greater level of freedom.